After a slow start to the season, T89 have set up a potential league title deciding fixture against ADI XI’s FC following a crucial 3-2 win over Fallen Asteri at Commonwealth Secondary. 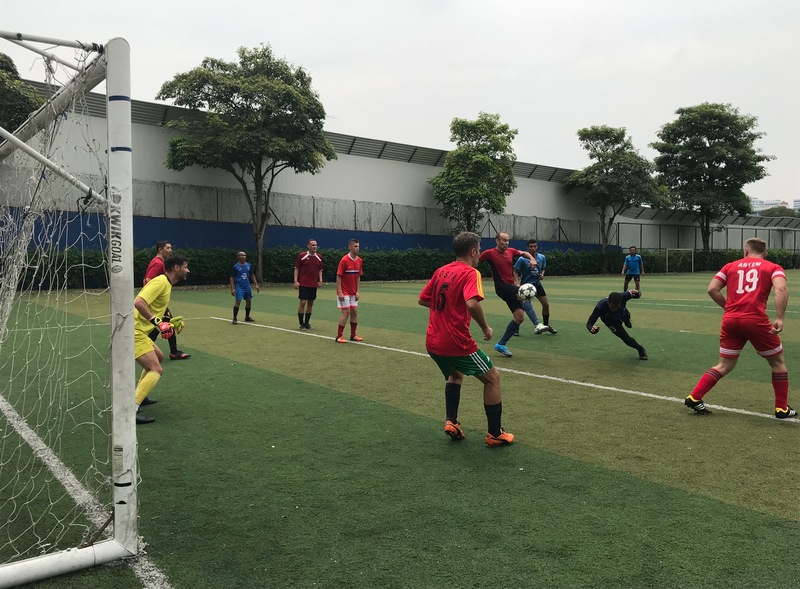 Having played almost three quarter of the game with 10 men due to a controversial red card, T89 held strong to come away victorious thanks to fine efforts from Cheng Wei (2) and Peter Muehsiegl. The win sees T89 move up to 31 points, two behind league leaders ADI XI’s FC with both teams having played an equal number of games thus far. Mark your calendar’s folks, the CLASH OF THE TITANS takes place on 17th March at Regent Secondary at 3pm. 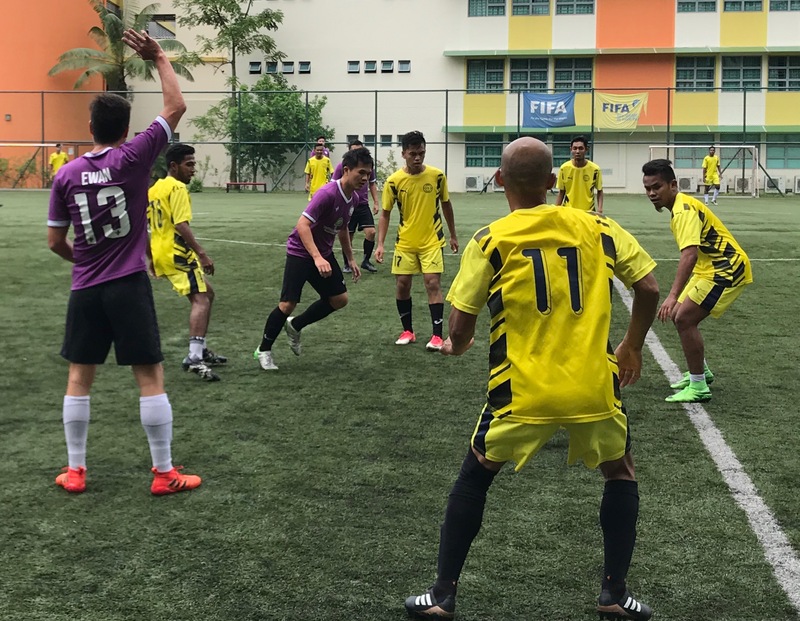 Following their emphatic 5-0 win over league leaders ADI XI’s FC last week, T89 continued their fine form with a resounding 9-1 win over Atlas FC at Ang Mo Kio Secondary. Having drawn their previous encounter 2-2, much was expected of Atlas FC but unfortunately the home side had no answer for T89’s aggressive, pressing play. Man of the Match, Nicholas Yong scored a hat-trick in this tie which was dominated by the away side from start to finish. 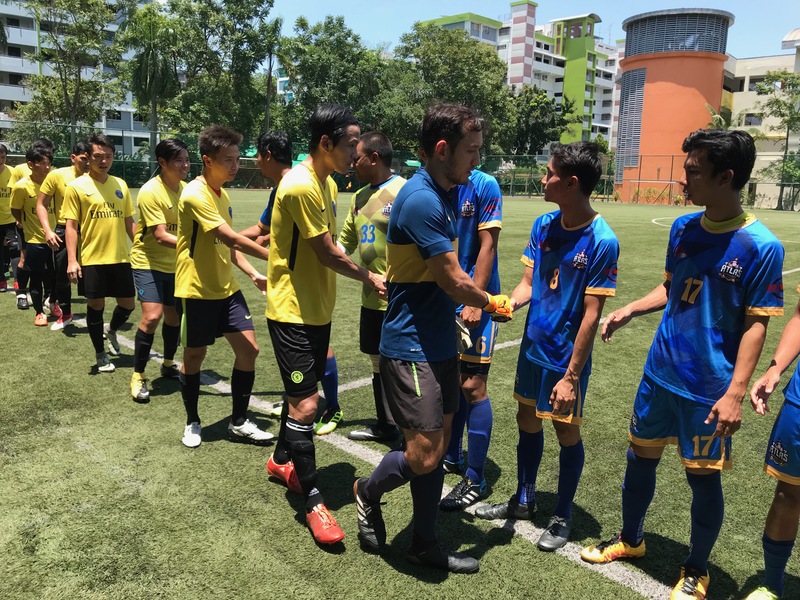 Here’s what T89 had to say after the game, “ Hot day at Ang Mo Kio Sec where a water break was a necessity in both halves. We started the game strong and pressed up high. We took the lead as early as the 7th min and never looked back. Final score 9-1. Thanks Atlas FC for the match”. Week 24: Title race gets late twist as T89 pull off stunning upset! Sitting 9 points clear of second spot, few could have predicted the outcome of the match between league leaders ADI XI’s FC and T89. 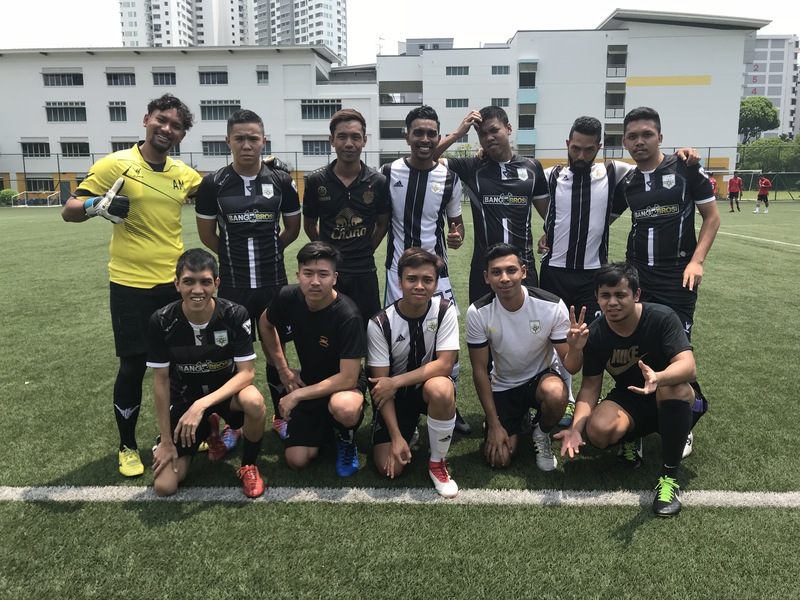 The away side pulled off what can only be described as a stunning upset when they beat the league leaders 5-0 thanks to fine efforts from Man of the Match, Mohd Rayman Abu (2), Peter Muehsiegl, Kelvin Tan and Kenneth Seow. Here’s what the team Manager of T89 had to say after the game, “It was an Amazing Battle but we managed to come away with a 5-0 victory. Both teams look forward to their end of season showdown on 17 March, 2019”. Over at Unity Secondary, 9th placed Assumption FC scored their second win of the season beating 8th placed Atlas FC 4-2. Man of the Match, Azlan 'Yayan' Yazid was on target twice for Atlas FC in this tie brining his goal tally closer to the coveted 100 Goals Club. Fallen Asteri’s two game win streak came to a screeching halt this week when they lost 3-2 in an evenly contested match against USSR Utd. Here’s what the winning side had to say after the game, “Both teams struggled to get going right from the start. The game was full of mistakes, miskicks and misplaced passes. We managed to take a 2-0 lead in first half but Asteri equalised in the 2nd until we scored a late winner. An entertaining game for the neutral watching”. Over at Unity Secondary, T89 continued their dominant run this time doing the double over Assumption Utd who started the game with 10 men. The win sees the home side move up to 22 points, just one point away from third spot. 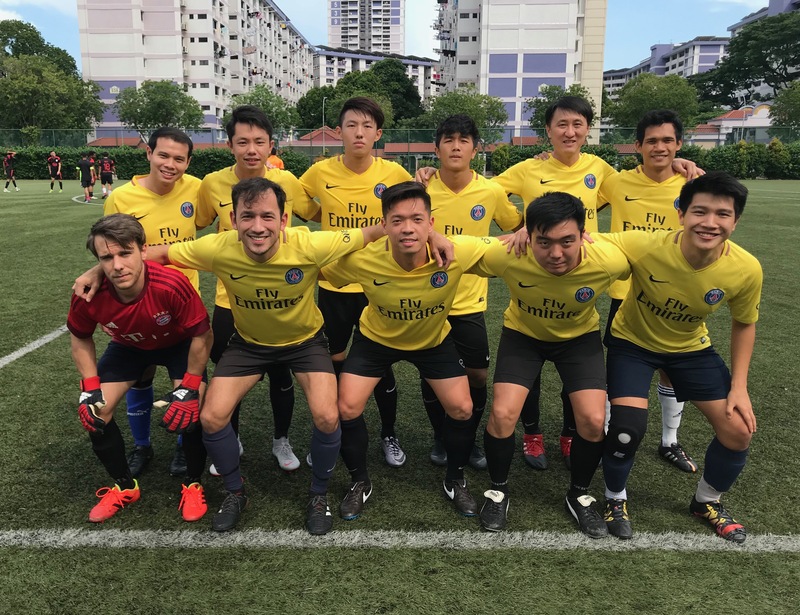 T89 took on bottom placed Assumption FC and came away with a 5-0 score-line thanks to two goals from Man of the Match Peter Muehsiegl and fine efforts by Andrew Ong, Luke Cheong and Cheng Wei. The result sees T89 make it six wins in six matches since their 4-0 defeat to Stellar Utd in Week 9. 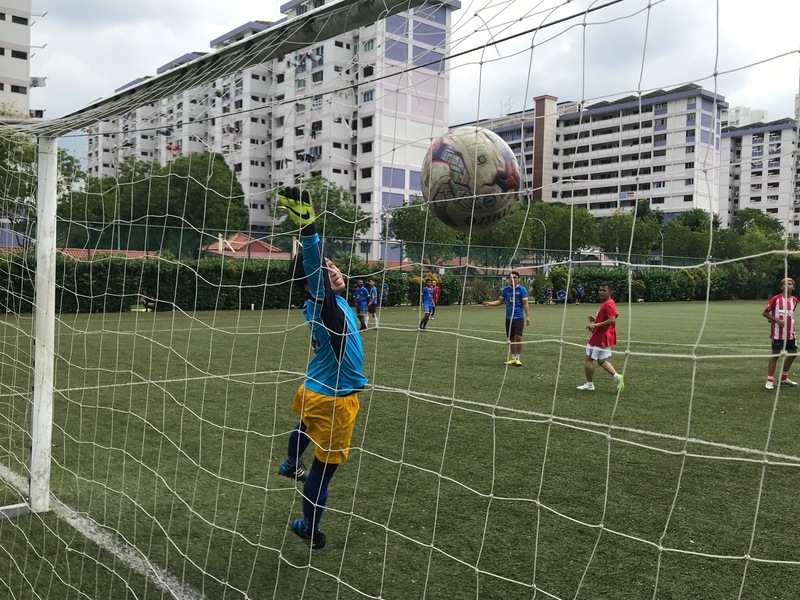 Over at Ping Yi Secondary, Stellar Utd, who are third in the league standings were held to a 2-2 draw against USSR Utd in a game which could have gone either way. Here’s what Russians had to say after the game, “ We had a good start to the game and took the lead by the 20th minute. Stellar pushed hard to get an equalizer and got rewarded in the dying minutes of the first half with a long range effort. Second half was all about Stellar attacking and USSR defending. Thanks to good goalkeeping we didn’t let in any easy goals. Overall it was a great game. Kudos to Stellar for pushing us all the way till the final whistle”. Week 21: Asteri are on the rise! Fallen Asteri made it three wins in a row this week with a hard fought 1-0 win over Assumption FC at Unity Secondary. The win sees them tied on points with 6th place Entertainers FC who were also in action this week against league leaders ADI XI’s FC. Unfortunately for the home side, the X-Cup runner-s Up proved too strong on the day thrashing them 9-1 in a one sided affair. T89 were awarded a 3-0 walk-over win over Satu Tak Cukup this week for a No Show. After finally breaking their losing streak last week, Fallen Asteri made it two wins in two games with a hard fought 4-3 win over Atlas FC at Anderson Secondary. Tied on points going into the fixture, the win sees Asteri leapfrog Atlas into 7th spot in the league standings. Satu Tak Cukup regained second spot this week win an impressive 5-0 win over Assumption FC at Regent Secondary. Over at Anderson Secondary, T89 once again pulled off a famous victory this time beating Entertainers FC 5-4 in a tale of two halves. Here’s what the home team had to say after the game, “ T89 were in control early on. Half time up by 5-0.We took our feet off the pedal in the 2nd half and barely hung on to win the match 5-4”. Stellar Utd was hoping for a repeat performance this week against T89 after beating them 4-0 in the first fixture. The home side however had other ideas and conjured up an impressive 3-2 victory thanks to goals from Man of the Match, Siebren Kamphorst, Cheng En and Darren Low. Over at Anderson Secondary, ADI XI stayed true to their name beating Atlas FC 11-1 in a one sided affair. The streak continues! To wrap up the week, Fallen Asteri put an end to their 5 game losing streak by beating Assumption FC 2-1 at Regent Secondary in a game which could have gone either way. 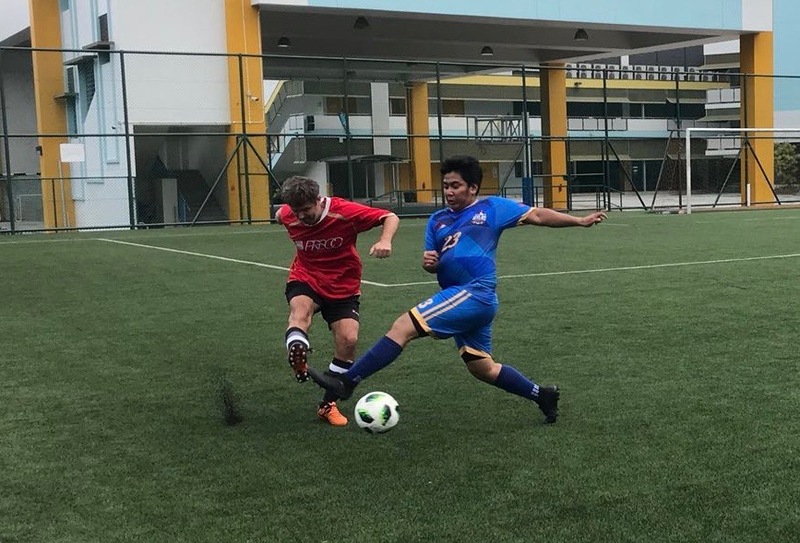 Having lost 4-2 to league leaders ADI XI the previous week, USSR Utd closed the gap on 3rd place to within 5 points after a hard fought 4-3 win over Satu Tak Cukup at Ang Mo Kio Secondary. 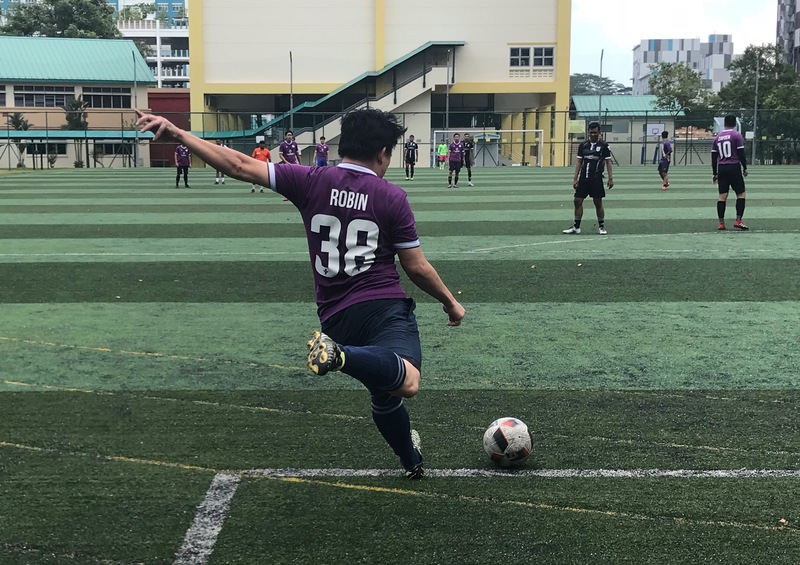 Over at Regent Secondary, two goals from man of the Match Jonathan Xu coupled with two clinical efforts by M.Guhen gave Entertainers FC a 4-2 victory over Assumption FC. The win however still sees the away side in 5th place with USSR scoring a win earlier today. 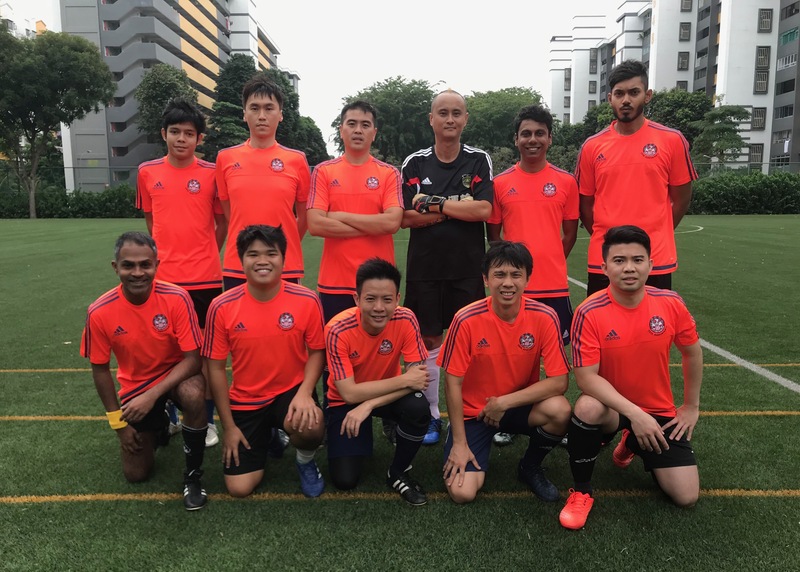 T89 secured back to back victories this week with a 4-2 win over Fallen Asteri thanks to goals from Kelvin Tan (2), Dominic Lam and Andrew Ong. Here’s what they had to say after the game, “Rain nearly derailed the game but ended in nice weather. T89 struggled due to lack of numbers and FA's seemingly soft shot slipped in. That woke T89 who equalised thru Kelvin and then thru Dom's volley. Another mistake by T89 from a corner made the game 2-2. T89's Kelvin again came to rescue for the 3rd goal and Andrew scored with a nice shot from outside the box and ended the game at 4-2. Exciting game but the game was made harder with tight numbers. T89 were lucky to have 3 subs with last minute inclusion of Kelvin and FCW. Aaron (T89) MOTM for his full blooded defending”. 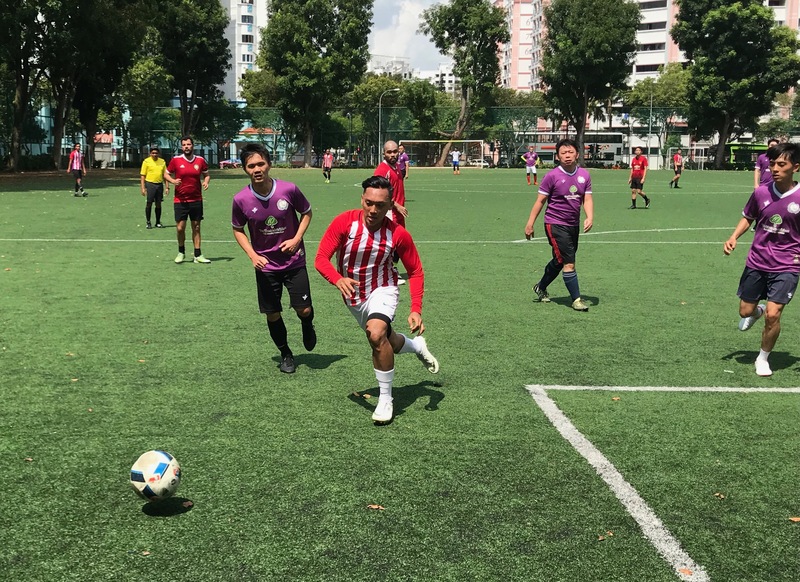 The top 3 teams in Division 1 of the Sunday Premier League pulled further away from the pack this week scoring impressive victories in all their games. 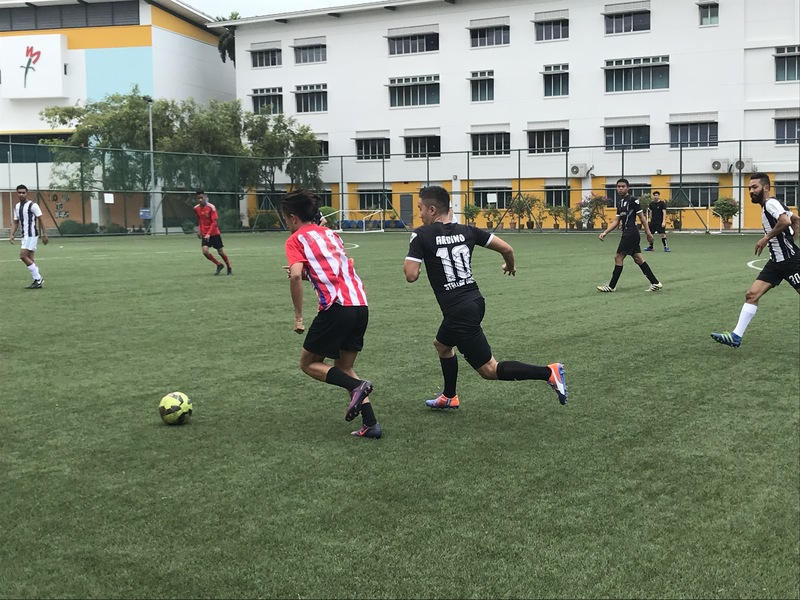 Fallen Asteri slumped to their fourth successive defeat, losing 5-4 to Satu Tak Cukup in a thrilling encounter at Compassvale Secondary while Stellar Utd came away 4-1 victors against Atlas FC at Bedok View Secondary. Week 16: T89 are back with a bang! After a poor start to the season, T89 once again looked like the team everyone tipped as one of the favourites to lift the league title at the end of the season. Entertainers FC unfortunately, were at the tail end of an 11-0 mauling at Unity Secondary. Man of the Match James Ou scored 6 of the 11 goals for the away side with Yuji Ueno, Kenneth Seow, Takahashi Ishi, Luke Cheong and Kelvin Tan also getting on the scoresheet. Here’s what T89 had to say after the game, “T89 returns to league action after a long break and came out hungry for the victory. We had the upper hand as the opposing team had limited substitutes on what was a very hot day. Over at Mayflower Secondary, ADI XI maintained their winning streak with a comfortable 4-0 win over Fallen Asteri. The win sees them extend their lead in the standings by 6 points. Rizal Ismail, who equalled the second highest number of goals scored by an individual player in an X-League season, went within 1 goal of the actual record this week when he scored *8 in ADI XI’s 9-0 win over Assumption FC. The win sees ADI XI maintain their 100% win streak. Can they emulate Arsenal’s “Invincibles” and go the entire season undefeated? Better still, can they will every single remaining league game? It’s a tall task but they seem up for it. 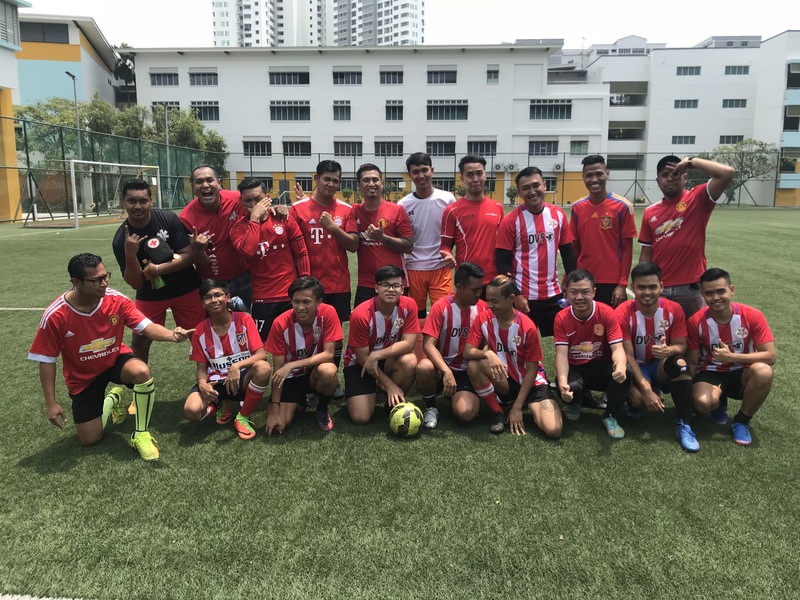 Satu Tak Cukup maintained the pressure on league leaders ADI XI and Stellar Utd with an impressive 6-1 win over Atlas FC at Woodlands Secondary. The result sees all three sides tied on 18 points in week 13 of the league season. Man of the Match, Azlan “Yayan” Yazid with the only goal in this game for Atlas FC in this game, bringing his tally to 92 X-league goals. Also at Woodlands Secondary, Entertainers FC recorded a 2-1 win over arch nemesis Assumption FC in a game which could have gone either way. The result sees Entertainers remain in 5th place, two points behind USSR Utd who sit in 4th. 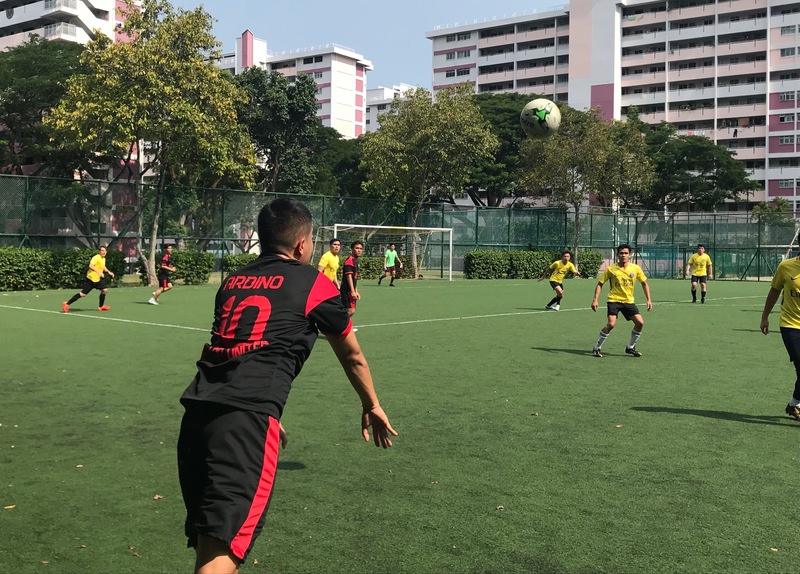 Stellar Utd extended their win streak to four matches this week with an impressive 6-0 win over Atlas FC at Bedok View Secondary. The win sees them move up to 18 points which ties them with league leaders ADI XI FC. Stellar Utd has consistently been an impressive side over the years in the X-League having won titles in the lower Divisions. Will this be the season they finally win the big one? Only time will tell. Only one game was played in Division 1 of the Sunday Premier League this week with long time X-league veterans USSR Utd taking on Atlas FC at Regent Secondary. Two goals from Yusri Yazid and a fine effort from Md Ikram was enough to see Atlas walk away 3-1 winners. 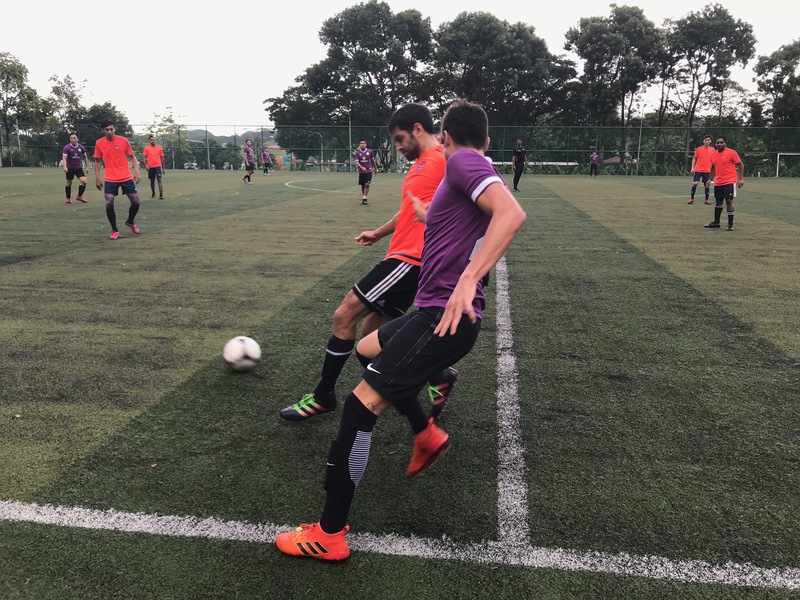 League leaders ADI XI maintained their 100% win record this week with an impressive 6-1 win over Atlas FC at Woodlands Ring Secondary. Rizal Ismail was once again on target for the away side scoring four of the six goals. Special mention also for Atlas Team Captain, Azlan “Yayan’ Yazid, whose solitary goal for the away side happens to be his 91st X-League goal his social footballing profile. Over at Regent Secondary, Entertainers FC scored an impressive 5-1 victory over USSR Utd. Just like Rizal, man of the Match Mohd Zulfadzli aka Botak was once again on target for the away side scoring four goals in the process. ADI XI made it five wins in five games this week with a 10-0 mauling of Fallen Asteri. The win saw Rizal Ismail go into the record books scoring 7*goals to tie the second most number of goals scored by an individual player in a league match. This was following Mohd Zulfadzli’s seven goals for Entertainers FC against the same opponents the week earlier. Over at Yio Chu Kang Secondary, Assumption FC slumped to their fourth defeat of the season losing 6-2 to USSR Utd in the process. Man of the Match Ramon Dominguez was on target twice for the home side and was joined by Pavel Volkov (2), Sardorbek Yangiboev & Stas Mikhaylov. 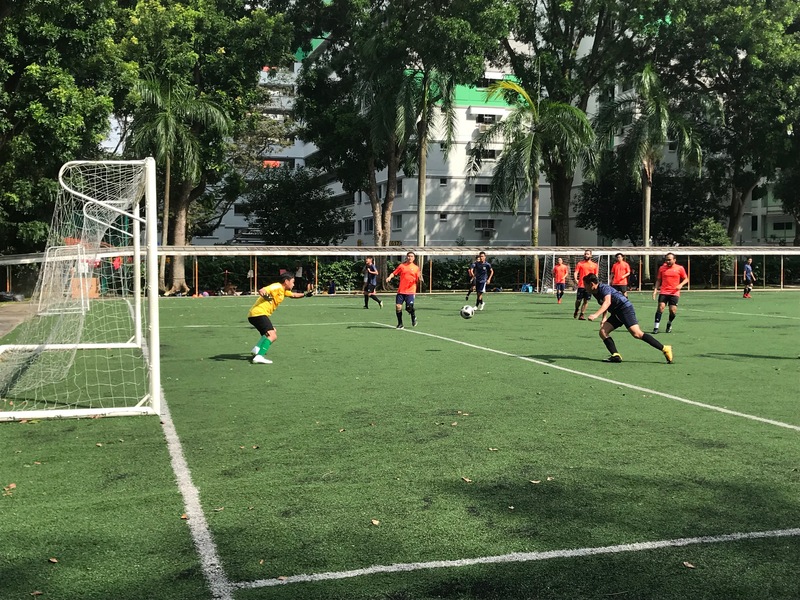 Stellar Utd put on a sterling performance to beat favourites T89 4-0 at Bedok Green Secondary. The win sees them tied on points with ADI XI and Satu Tak Cukup at the top of the league standings. 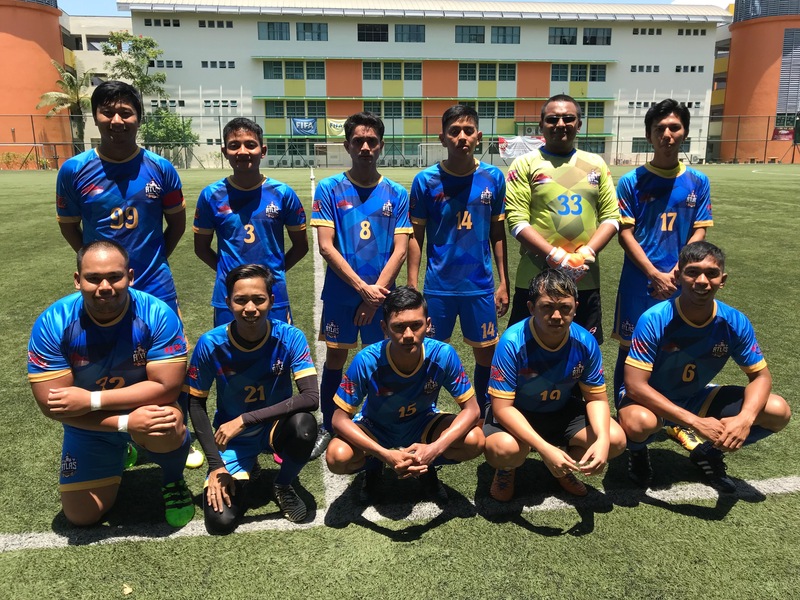 League leaders Satu Tak Cukup suffered their first defeat of the season when they were beaten by league favorites ADI XI at Anderson Secondary. The home side has no answer for Man of the Match Rizal Ismail who put four goals past them. Also sharing the headlines is Entertainers FC who obliviated their opponents 10-0 with a stellar performance from start to finish. Man of the Match, Mohd Zulfadzli scored 7* goals of the 10 goals which equaled the X-League Record for the second highest number of goals scored by an individual player in a league match. 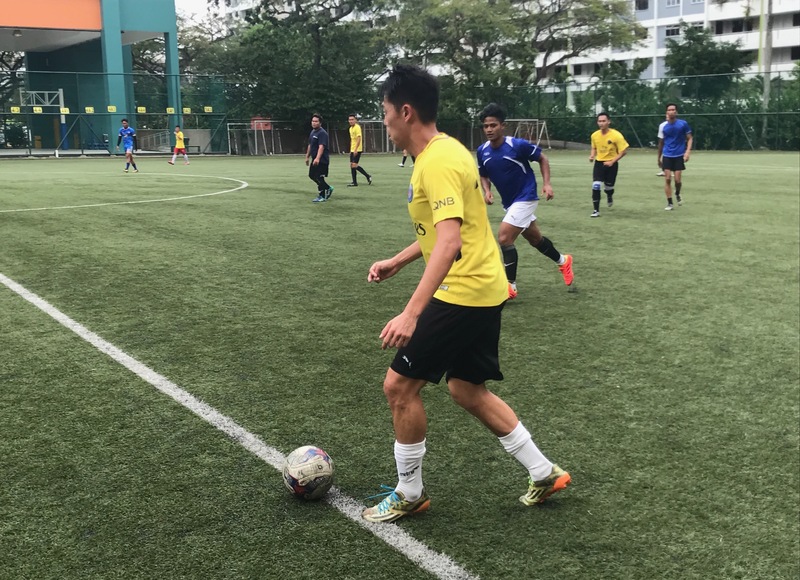 The remaining three goals were scored by from last season’s Top Scorer S.Prasath (2) and Team Manager, Janus Lim. Stellar Utd moved a step closer to the top of the league standings with an impressive 7-2 win over Assumption FC. 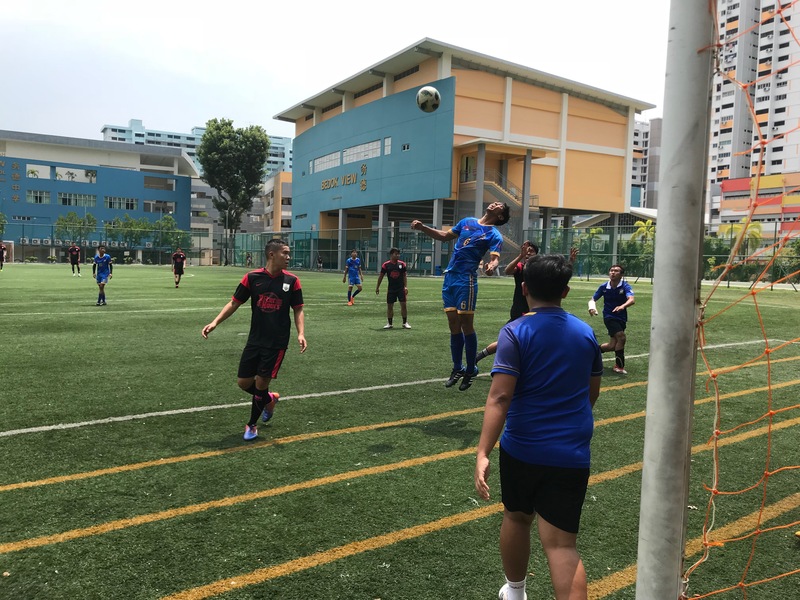 Over at Ang Mo Kio Secondary, potential title contendars, T89 began their campaign with a shock 2-2 draw against Atlas FC. Here’s what the away side had to say after the game, “ We started defensively and frustrated our opponent. They kept coming and were awarded what we felt was a soft penalty. 1-0. HT. After the break we held our ground and stayed patient. But one mistake resulted in a quick counter and they scored again. 2-0. We up’d our game and pressed on scored a goal through Captain Yayan’s solo effort, his 90th X-league goal. Our opponent then got a red card for unprofessional conduct. In the dying seconds captain Yayan swung in an inch perfect cross which was headed home by the shortest player on the pitch Razi. Ft 2-2. What a game! What a comeback! Both fallen Asteri and Assumption FC scored their first wins of the season this week with 2-1 wins respectively. Nino Tan and Nicholas Lee were both on target for Assumption as they edged Atlas FC 2-1 at Ang Mo Kio Secondary. Over at Anderson Secondary, Fallen Asteri bounced back from their 4-6 loss to Stellar last week with a hard fought 2-1 win over USSR Utd. Here’s what the Russains had to say after the game, “First time in about 4 years we managed to get 17 players to turn up for the game. However, due to sub limits it proved very difficult to handle formation and game strategy. Our goalkeeper’s mistake made it 1-0 to the opponents followed by Pavel Z’s shot from short corner play which led to the equalizer going inot the break. A rare Asteri counter after several deflections landed at the feet of their midfielder who put it away to make it 2-1. We were awarded a late penalty after one of their defenders handled the ball from a throw-in, which was saved by their keeper - the man of the match! 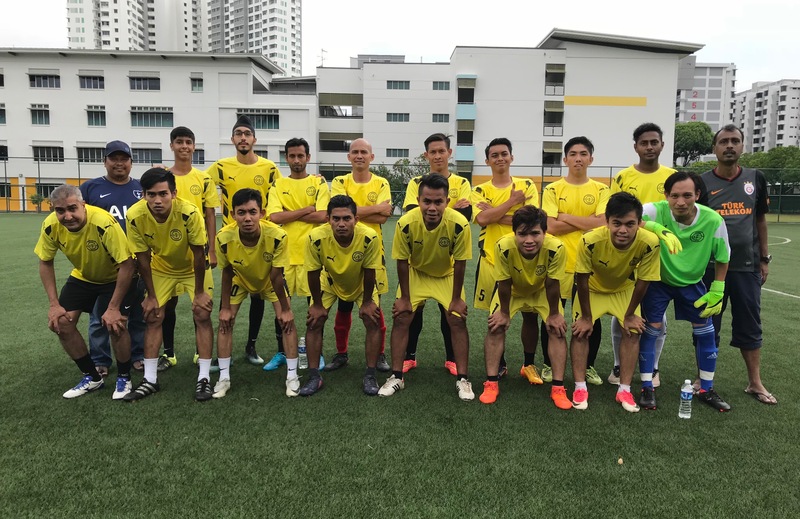 Goals from Janus Lim and Mohd Zulfadzli were not enough to stop Entertainers FC from slumping to their third straight defeat of the season when they were defeated 9-2 by league leaders Satu Tak Cukup. Man of the Match Pavel Volkov scored a hat-trick in USSR Utd’s 5-3 win over Entertainers FC this week in a game which could have gone either way. The Russians dug deep to bounce back from a 5-2 drubbing at the hands of Satu Tak Cukup last week. Despite the win, the Russians remain in fourth place in the league standings on goal difference. 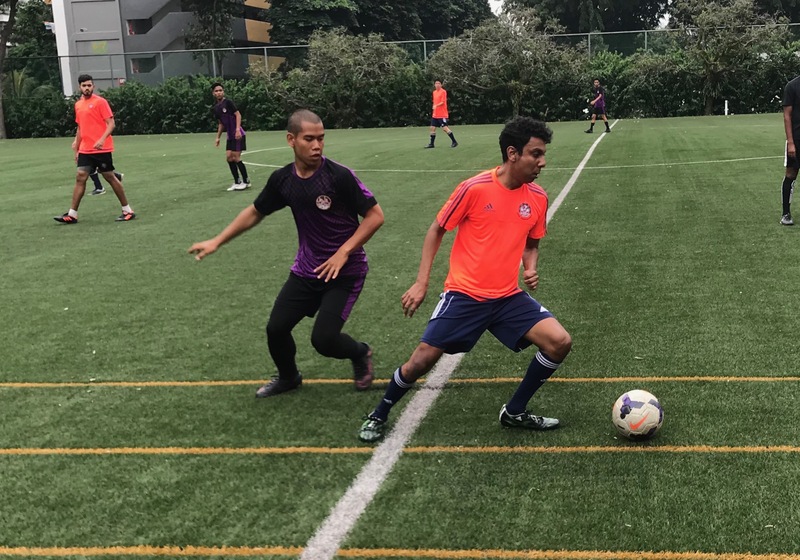 Over at Ang Mo Kio Secondary, a hat-trick by Man of the Match Rizal Ismail saw ADI XI maintain their winning streak when they beat Assumption FC 5-2 in a tale of two halves. 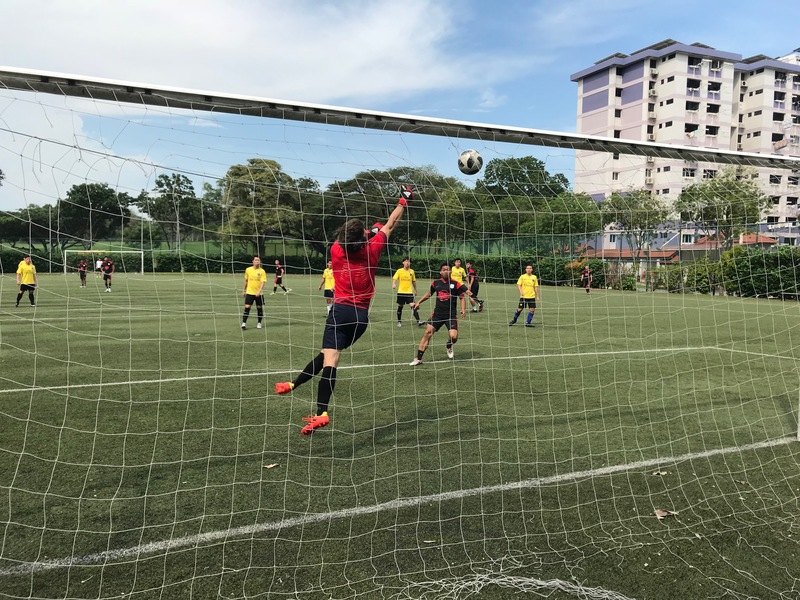 In the third fixture for this week, Stellar Utd edged Fallen Asteri 6-4 in a 10 goal thriller that was played at Bedok View Secondary. The win sees the former Sunday Premier League veterans tied on 9 points with ADI XI and USSR Utd. Syahmi Zuhaily scored his 16th goal for Satu Tak Cukup this week in his sides 5-2 win against USSR Utd at Marsiling Secondary. Here’s what his opponents had to say after the game, “Good turnout on our side,14 people, meaning 3 subs. From the start we were trying to create chances but were punished by swift counter attacks. Thanks to a well taken free-kick early on in the game, we held a 1-0 lead until about 35th minute. In the end it was a fair result and the hungrier team won. 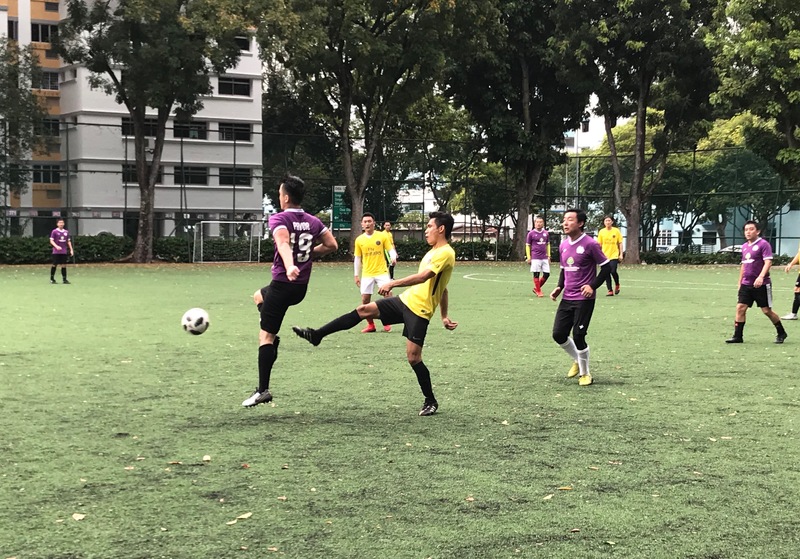 Over at Yio Chu Kang Secondary, both Fallen Asteri and Entertainers FC secured their first point of the season when they drew 5-5 in a nail biting affair. League favourites Stellar Utd and ADI XI turned out to be a one sided affair with ADI coming away 5-0 winners. 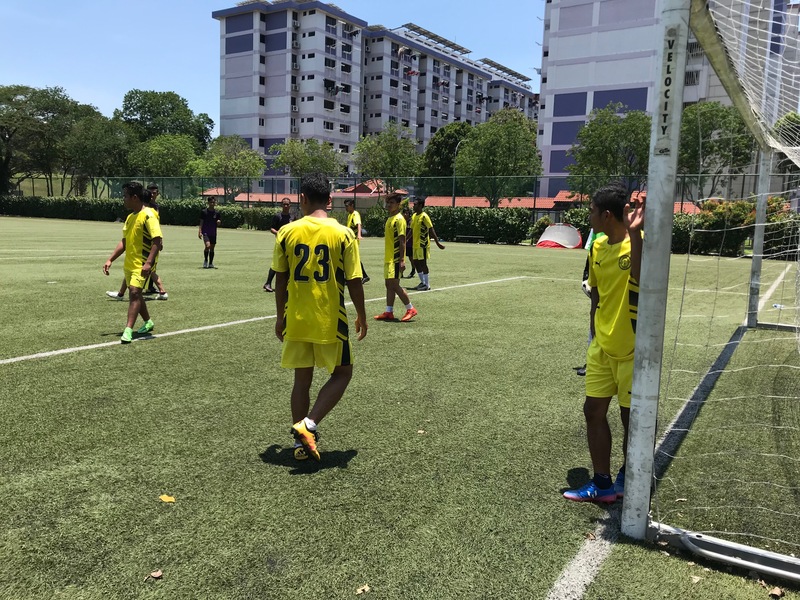 Fallen Asteri suffered their third successive loss this week when they were beaten 7-0 by Satu Tak Cukup at Marsiling Secondary thanks to 5 goals from Man of the Match, Syahmi Zuhaily. The in-form striker has now scored 13 goals in three matches! 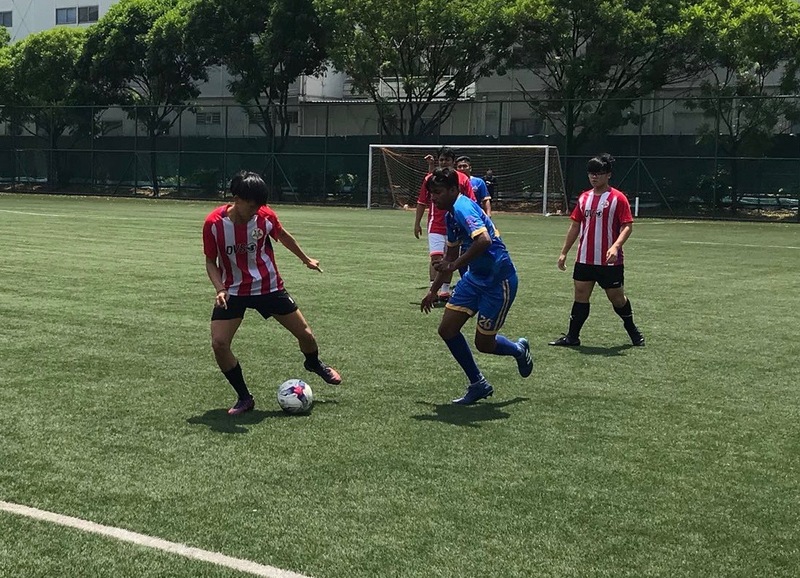 Over at Sembawang Secondary, goals from Zayden Lu and Tai Wai were not enough to stop Assumption FC from losing 3-2 to Stellar Utd in a closely fought encounter. Former X-Cup finalist, ADI XI kicked of their campaign this week with a 9-2 rout against USSR Utd at Mayflower Secondary. USSR Utd made it 2 wins in two games when they beat Assumption FC 5-2 at Sembawang Secondary thanks to a hat-trick from Pavel Volkov. Here’s what the away side had to say after the game, “We had good numbers again for today’s game. The first half was relatively even but Assumption made some costly defensive mistakes and it ended 3-1 in our favour. Early in second half we got a red card and played mostly in defense and on the counter. Assumption managed to pull one goal back but as they pushed forward for the equalizer, Ramon broke away on the counter to make it 4-2. Good game, effort and result!”. In other results, Stellar Utd started their campaign with a 3-0 win over Fallen Asteri while Satu Tak Cukup continued their impressive run with a 4-1 win against Atlas FC. Atlas FC recovered from their 5-0 loss against USSR Utd last week with an impressive 6-3 win over Fallen Asteri at Mayflower Secondary. 2 goals from Man of the Match Ehsan Ahlil coupled with fine efforts from Razi Ismail (2), Sazli Suhaimi & Azlan “Yayan” Yazid saw the home side walk away with all 3 points. Here’s an account of what happened during the game from Atlas FC. “We Started off quickly with Azlan scoring his 88th xleague goal in the first minute of play. Sazli got a second within the next 10min and Ehsan score a third from a counter attack. Our opponents put away a penalty in the 2nd half and scored from long range minutes later. Ehsan scored a rocket shot and Razi got a quick double. Finally opponents got a last goal from close range”. 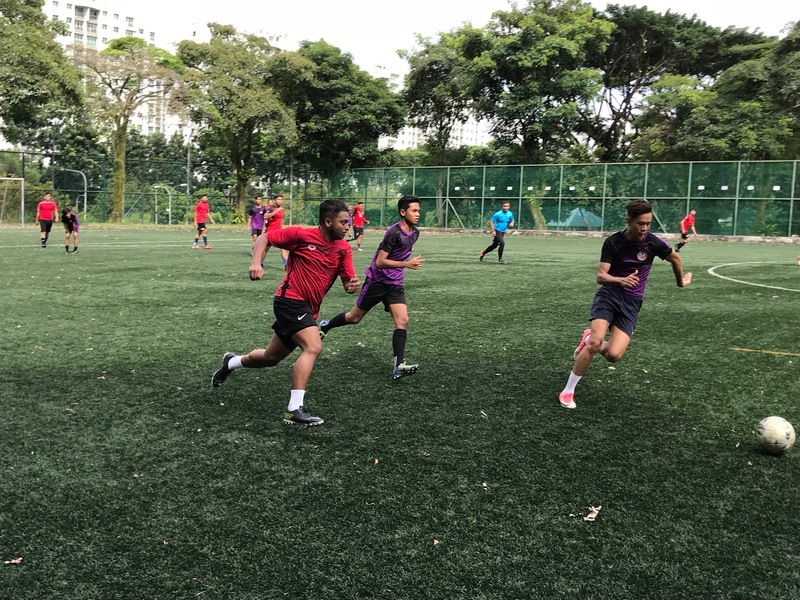 Season 11 of the Sunday Premier League kicked off this week following a divisional reshuffle with Atlas FC taking on USSR Utd and newcomers Satu Tak Cukup playing against Entertainers FC. A hat-trick by Man of the Match Pavel Kolko saw the Russains score an impressive victory to open their campaign with an impressive 5-0 win. Here’s what their team manager had to asy after the game, “Start of the season and a familiar opponent. We had a good number of players showing up with some new guys. Atlas had a large squad as well. We played quite solid in both attack and defense. We were somewhat lucky with 5 goals scored due to some goalkeeping errors. Both teams hit crossbar once. We had 5 different players scoring but Pavel V participated in all goals - gets MOM. Azlan Yazid played a great role for his team - gets MOM”. 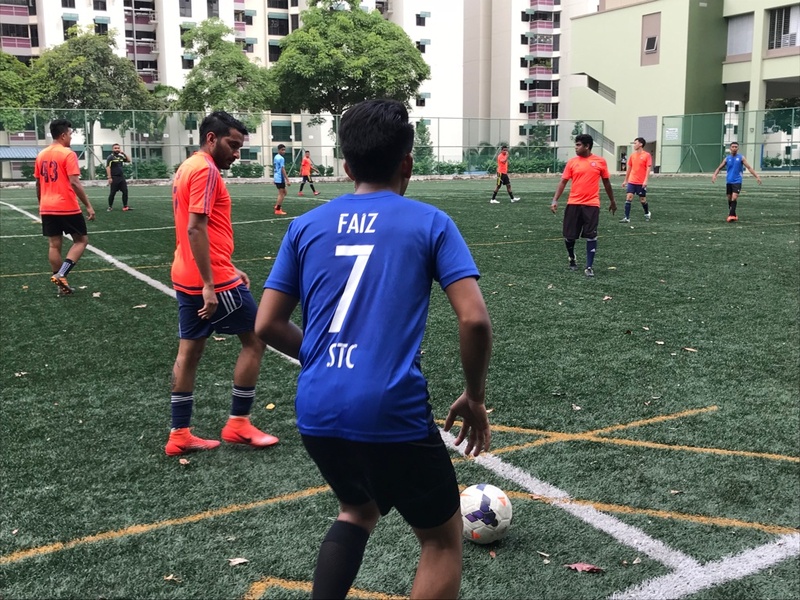 Over at Compassvale Secondary, Satu Tak Cukup scored a shocking 9-2 win over league veterans Entertainers FC with six goals from Syahmi Zuhaily which earned him the Man of the Match.